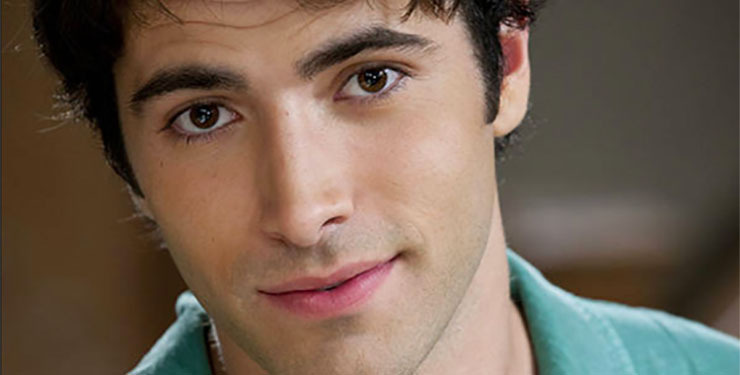 Freddie Smith hopes to stay on “Days of Our Lives,” seeing where Sonny Kiriakis’ life takes him. “My new contract is almost up, but I’m looking forward to extending [and to continue]portraying this character,” Smith told Soap Opera Digest in its latest print issue. Sonny and Paul (Christopher Sean) are finally opening up to a relationship, after some fits and starts. Loads of soapy drama got in their way too, such as the death of Sonny’s ex, Will. Sonny was so shaken by this loss, he left Salem for a good bit. At that time, in 2015, Smith opted to leave the show. “I had a lot on my plate with other projects, with life in general, and also with personal stuff,” he said. Then, in 2016, the show asked him to come back, and Smith said he jumped at the chance. So sang Etta James, and so it is with Sonny and Paul. They were each other’s first love. But when Paul first came to Salem, not only was Sonny with Will, but Paul wasn’t out of the closet. Now that he is, Smith thinks the two can finally see what could be between them. With all that has preceded their getting together, Smith thinks their coupling will be fulfilling and fun for viewers. Team Paul has been pulling for them since Paul came to Salem, Smith said. Smith cited another draw for him to renew his contract. “I’ve learned that Days is an iconic show, an I just live what they’re doing. If it makes any sense, I need to be there,” he said. If Sonny and Paul do make a go of it, their relationship may break ground just as Sonny and Will’s did. The latter two were the first gay couple to be married in daytime. I hope Freddie does stay…I like him as Sonny! Even though he’s not the greatest actor, there’s something very appealing about him. Plus, without him, Christopher Sean may not stick around.